The All Progressives Congress (APC) has said Saturday’s judgement of the Taraba State Governorship Election Petition Tribunal is the clearest indication yet that the PDP has started harvesting what it sowed in its years of impunity and recklessness, hence it should blame itself for whatever tragedy has now befallen it.. 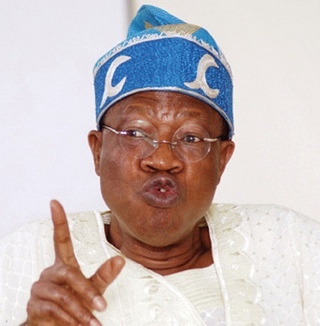 In a statement issued in Lagos on Sunday by its National Publicity Secretary, Alhaji Lai Mohammed, the party said the PDP has always been a party of anything goes, hence it is a matter of time for the party to come to grief, first by tumbling from the pinnacle of power and now by losing, incrementally, whatever remains of its crumbled empire. It said the PDP was only trifling by attributing the judgement to a supposed manipulation from the Presidency. “President Muhammadu Buhari as well as his party, the APC, are strong believers in the rule of law, as against the rule of impunity, hence will never manipulate the judiciary for whatever reason. “The PDP is clearly aware of this, but has chosen to blame everyone but itself for the fate that has befallen it. The PDP should have known that it will pay for its years of impunity and recklessness. For this party, the chicken has now come home to roost,” APC said. “It is noteworthy that this is not the first time the court is ruling against PDP’s impunity of violating its own constitutional provisions and the Electoral Aact with regards to ensuring internal democracy in the conduct of primary elections. “It is instructive to note that these judgments took place while the PDP was in control of the Presidency. The opposition parties then never questioned the integrity of the judiciary by making wild and weighty allegations as the PDP is doing now,” it said. The APC also said that the PDP should blame itself for its gross impunity with regards to the conduct of primary elections for Taraba State. For instance, if all political parties, including the APC which was then in opposition, could hold their primaries in the state, why would the PDP that was in control of the State Government come down to Abuja for its primaries against the provisions of the Electoral Act and the PDP constitution? The irony was that whereas the PDP claimed the primaries where shifted to Abuja because the capitals of Taraba, Borno and Adamawa States where not safe for primary elections, the PDP held Presidential campaigns in the same capitals of the affected states (Jalingo, Taraba State, Maiduguri, Borno State and Yola, Adamawa State). “Now that the PDP’s chicken has come home to roost, the party must be courageous enough to accept full responsibility and stop seeing enemies everywhere. The PDP is its own enemy,” the party said.